Suitability: All ages. Beginner - Advanced. As a dedicated performing musician, Asha’s multi faceted experience has led to her becoming a technically versatile freelance flautist and educator. Since graduating with a Bachelor of Music, First Class Honours from WAAPA (West Australian Academy of Performing Arts), she has toured Brazil, Germany and Australia with original blues/rock bands, choro ensembles and Jazz bands. 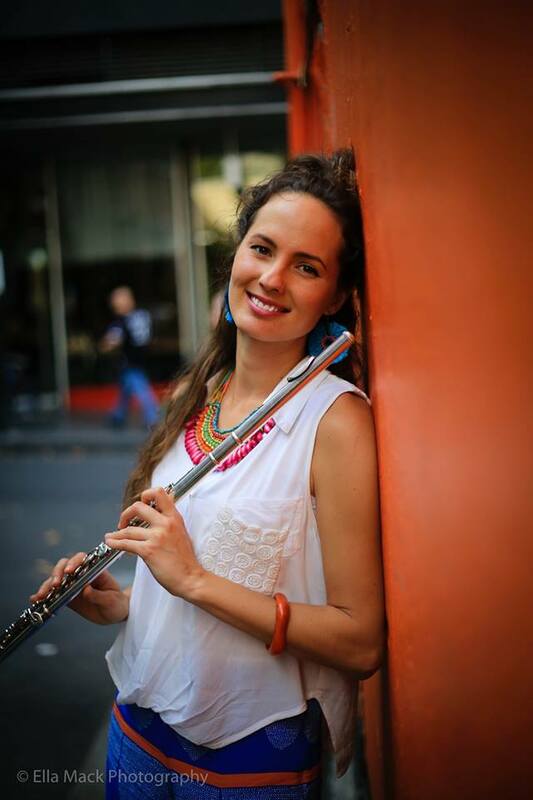 In Brazil, Asha fell in love with the virtuosity and playfulness of choro and bossa nova and is now Melbourne’s premier flautist of Brazilian music, playing regularly with Doug de Vries, Tamil Rogeon and Al Kerr. With 15 years experience teaching individuals and groups, Asha enjoys guiding students to realise their musical goals in a friendly and positive environment. Lessons will concentrate on basic musical and instrumental elements including rhythm, note recognition, sound production, posture and sight reading. Asha will use various books and games to create a fun and focused environment. Asha is very familiar with the AMEB and VCE syllabuses should you wish to take exams or play in competitions. Asha has a wealth of repertoire in her music library to choose from and can tailor lessons to suit your interests whether it is classical, pop or Jazz. She is also very happy to help you find performance opportunities.